France offers many opportunities for students to explore what they’ve learned in their textbooks. In France, students are surrounded by architecture, culture, and history. When planning school trips to France, there are some places that are essential to guarantee your group has a great time on the trip. 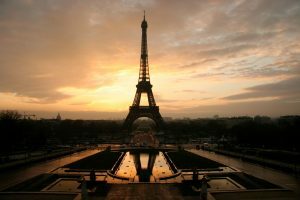 ParisByM has created a list of the top 3 places to visit on school trips to France! Paris is a destination filled with multiple historical monuments and museums. Here are a few locations that your students will enjoy. The Eiffel Tower is a landmark recognized by many all around the world for its iron architecture, completed in 1887 by Gustave Eiffel. Students can visit the top of the tower to see the breathtaking view of the City of Lights which will make their school trip to France unforgettable. 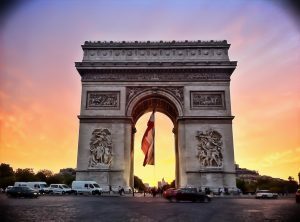 The Arc de Triomphe is one of world’s best-known commemorative monuments, completed in 1806 and designed by Jean-François-Thérèse Chalgrin. Students will learn how it has continued to be an iconic symbol of France. Those who are able, are welcomed to climb the 284 steps to the top of the Arc de Triomphe. Although it’s a bit tiring, your students will enjoy another amazing view of Paris. The Louvre is the world’s largest art museum! It houses a large collection of French paintings between the 15th and the 19th century, statues, decorative arts, and Mesopotamian art. 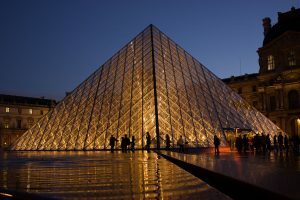 At the Louvre, students will learn about famous artists and see some of most well-known pieces of art, such as Leonardo da Vinci’s Mona Lisa and Alexandros of Antioch’s Venus of Milo. The Louvre contains more works of art than you can imagine! We suggest that you plan with your students to decide what they would like to see. Mont-Saint Michel is a tiny island off the coast of Normandy. Although the island is extremely small, there is no doubt that there are many treasures for your students to explore. 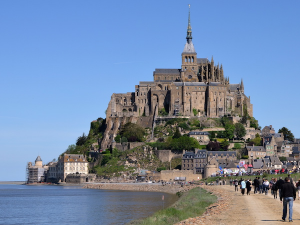 The Mont Saint Michel Abbey is located at the top of Mont-Saint-Michel. The historical monument has both Gothic and Roman styles incorporated throughout the structure. Did you know that it was once a prison? Students will be fascinated by the information they learn during their visit. The Grand Rue, or Main Street, is the busiest street at Mont-Saint Michel. On either side, you can find houses, shops, inns and restaurants. It is a great place for students to taste the divine cuisine the island has to offer and to buy gifts and souvenirs to take home. 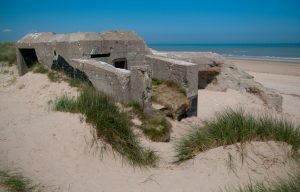 The Normandy Coast is home to many monuments and museums dedicated to World War II. Here, students participating in school trips to France can pay tribute to their ancestors who fought for liberty. There are multiple locations along the coast that students find fascinating, but touring each location takes time. Depending on the length of your school’s trip, you can pick and choose based on what your students would enjoy the most. The Utah, Omaha, Gold, Juno and Sword Beaches are known as the D-Day Landing Beaches. Students can see monuments and memorials at each beach. 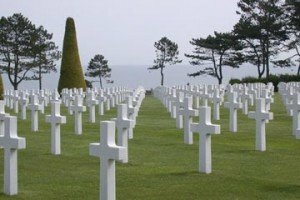 For example, at Omaha beach, students will find a memorial and the American cemetery, where almost 10,000 soldiers who fought are buried. The Memorial of Caen, The Musée du Débarquement of Arromanches (Landing Museum), the Museum of D-Day Omaha, and the Airborne Museum can all be visited on Normandy’s Coast. Each museum focuses on a different part of World War II or to commemorate the battles that took place at the different locations. 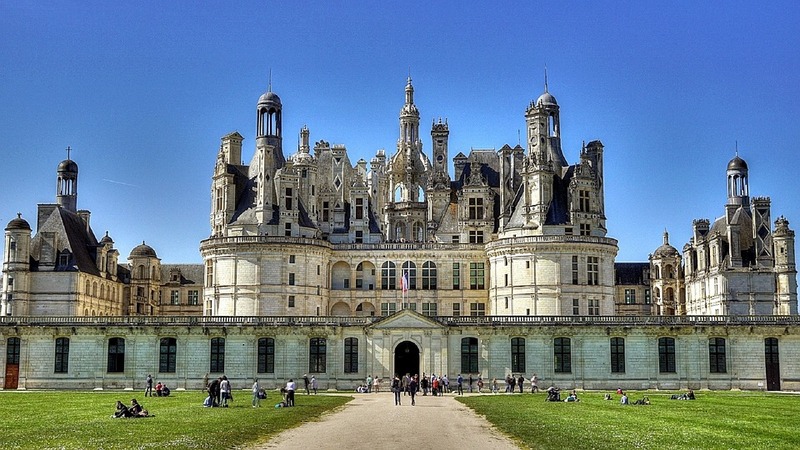 The Loire Valley is known for its hundreds of magnificent castles. Some are more well known then others, but nonetheless, your students will be amazed by their beauty. Many claim this to be the castle most worthy of visiting. It is the biggest closed forest park in Europe; its area is similar to the city of Paris. There are horse and raptor shows that your students might enjoy! This castle is known as the “Castle of the Ladies”. Katherine Briçonnet supervised the construction and many women, including French queens, after her added their own personal touch. Students will understand the role women played in this part of history. 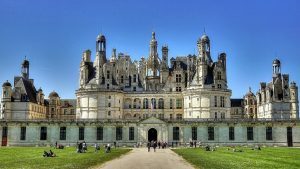 These castles are the most visited and famous, but there are many more to discover, depending on the theme that you would like to develop with your students. ParisByM would love to help plan your school trip. 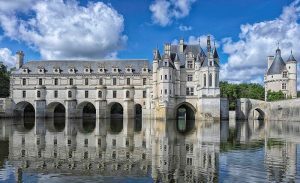 If you would like to know more information on our offers for school trips to France, please click here.